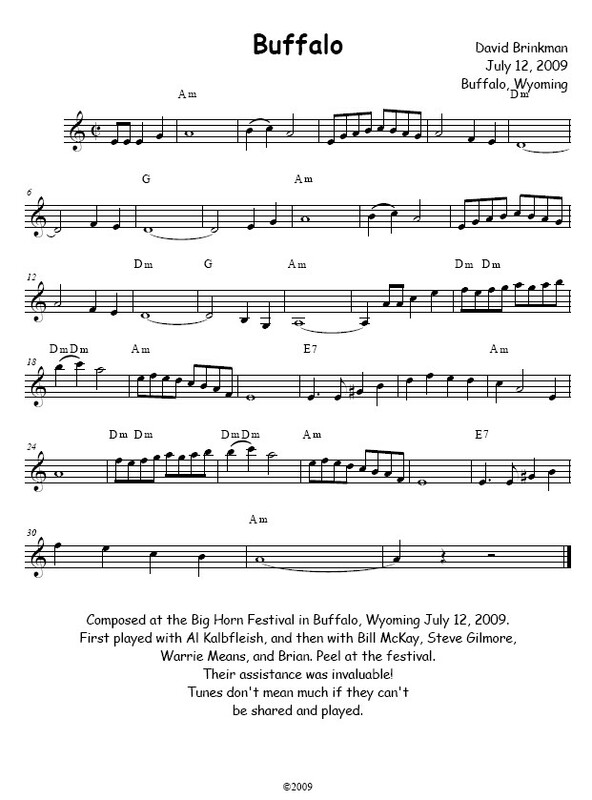 About: Composed at the Big Horn Festival in Buffalo, Wyoming July 12, 2009. First played with Al Kalbfleish, and then with Bill McKay, Steve Gilmore, Warrie Means, and Brian. Peel at the festival. Their assistance was invaluable! Tunes don't mean much if they can't be shared and played.